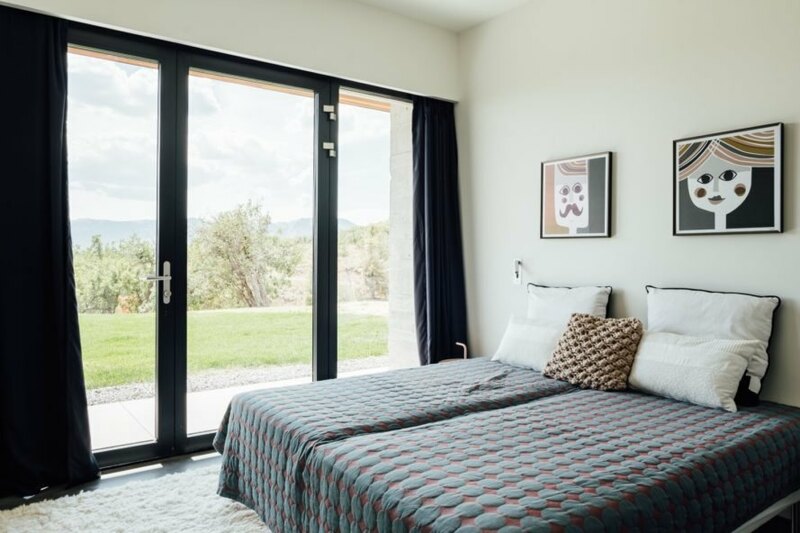 Danish interior designer Mette Axboe spent months searching for the perfect U.S. location for a family retreat, but the hunt came to an abrupt end once she set sights on an expansive lot of 10 pristine acres overlooking Utah’s picturesque Park City. 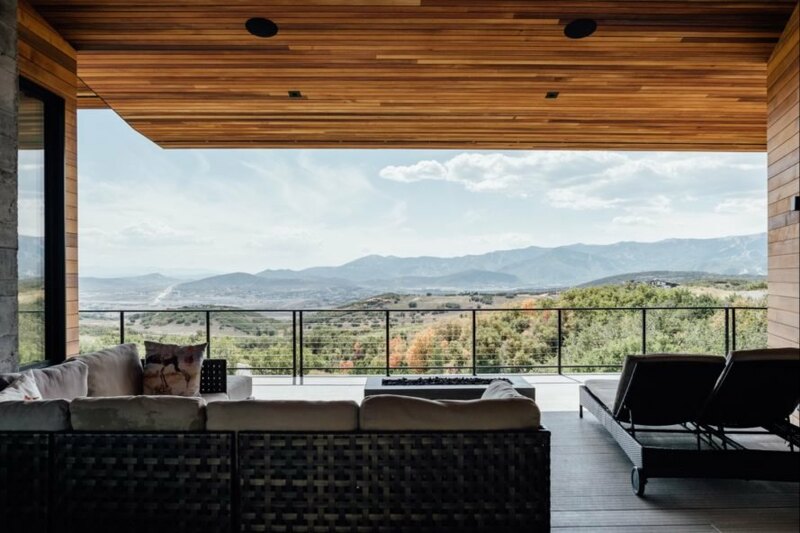 The mountain range in the background inspired the stunning design, which was conceived as a “looking box” to enjoy the scenery from any point in the home. Accordingly, the rolling fields and mountain range in the distance became the focal point of the home’s design. The low-lying horizontal volume is tucked into the landscape to help blend the structure into its surroundings. To create a “looking box,” the team included sizable windows and multiple outdoor decks to provide stunning views from virtually any angle. 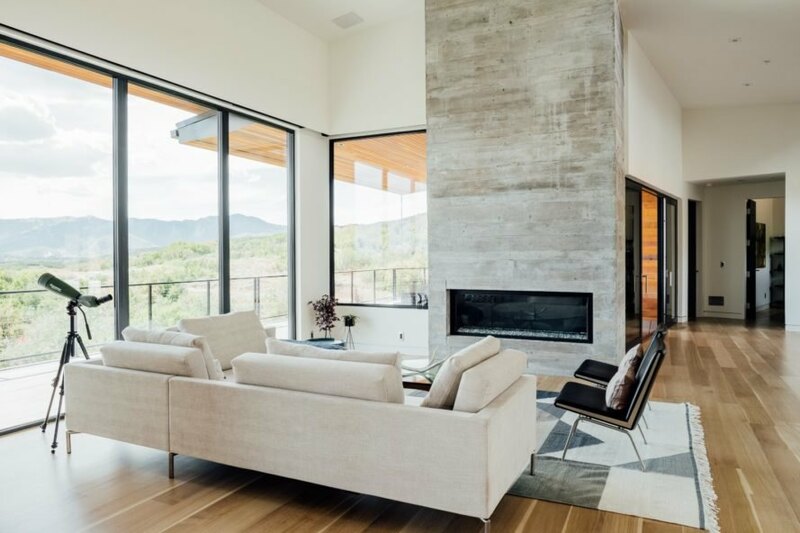 To further blend the home into its environment, the architects and designer went with a muted color palette using a combination of natural cedar and board-formed concrete. 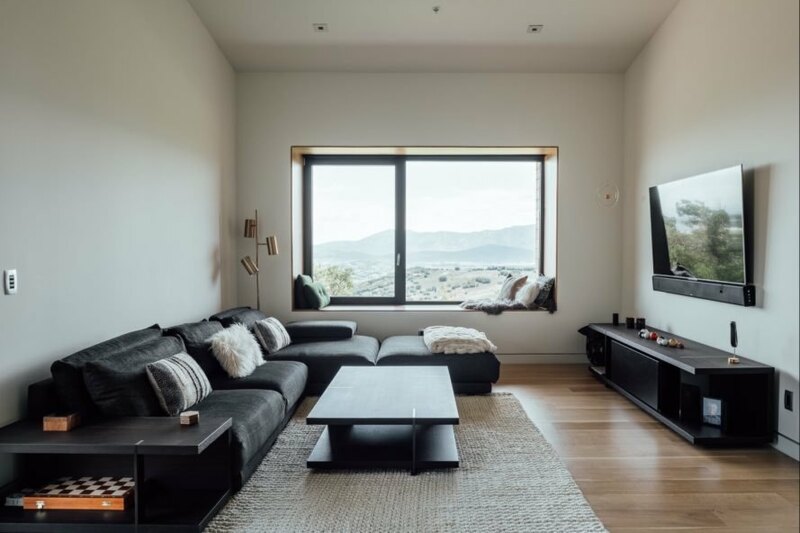 These materials continue through the interior, where enormous sliding glass doors and windows provide a seamless connection between the indoor and outdoor spaces. An expansive deck with large comfy sofas, a dining table and fire pit is the perfect spot for soaking up the amazing scenery. In addition to bringing nature to the forefront of the design, the residents were also focused on creating an energy-efficient home. As such, the architects employed various Passive Haus standards. 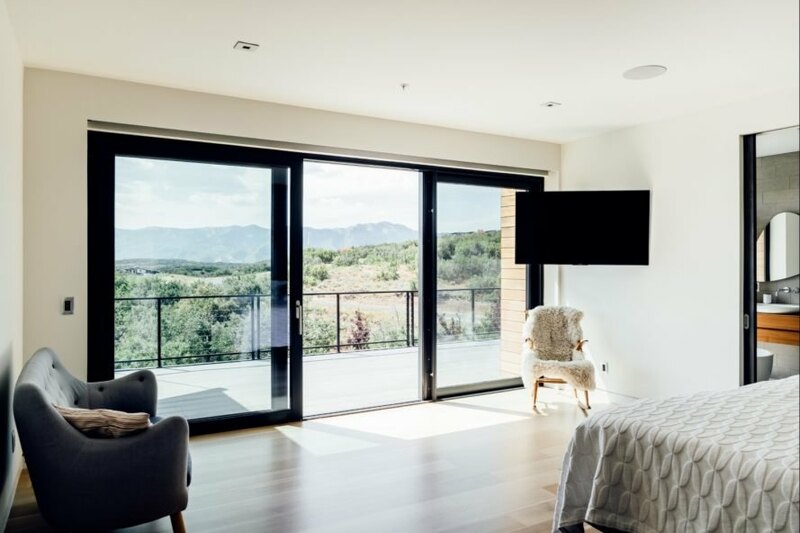 Triple-pane windows were installed to allow the home to have access to ample natural light and stunning views without massive heat loss. Radiant heat flooring also provides even temperature control during the freezing Utah winters. Located just outside of Park City, the Axboe House is clad in cedar. 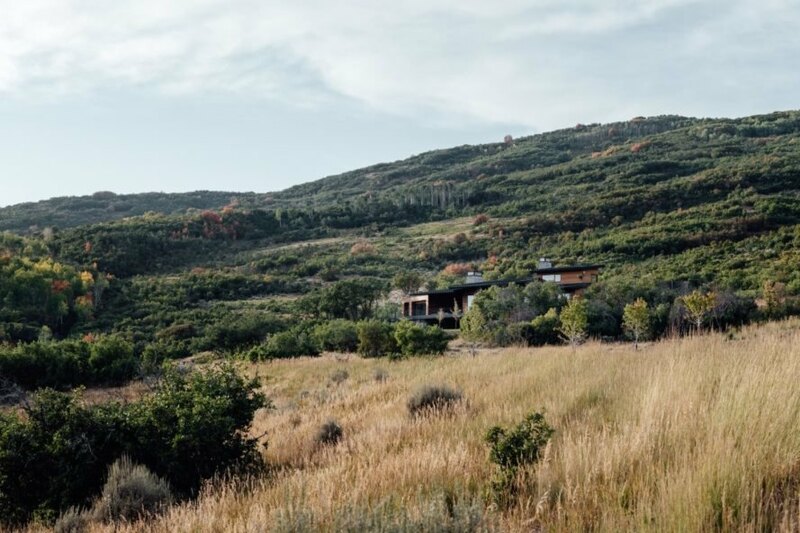 Danish interior designer Mette Axboe built her dream home in the Utah mountains with the help of Park City Design + Build. Warm wood flooring and concrete features add a modern aesthetic. White walls and simple lines embrace minimalism. Axboe used her Danish roots to inspire the design. An additional living space was installed in the ground floor. Each room features large windows that frame mountainous views. Oak flooring and light colors open up the space. Large sliding glass doors open up to the expansive terrace. The ground floor rooms all open up to the outdoors. The interior design is modern and clean throughout. 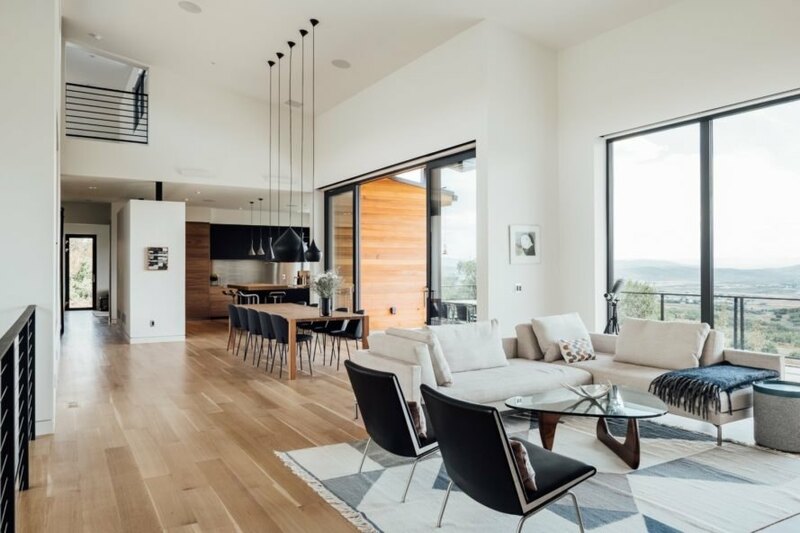 Large glass doors and ample windows provide views from any angle inside the home. The home is tucked into the rolling landscape. The spacious terrace is the heart of the home. Stunning views are guaranteed from anywhere in the home, especially the deck. The landscaping around the home was kept natural. 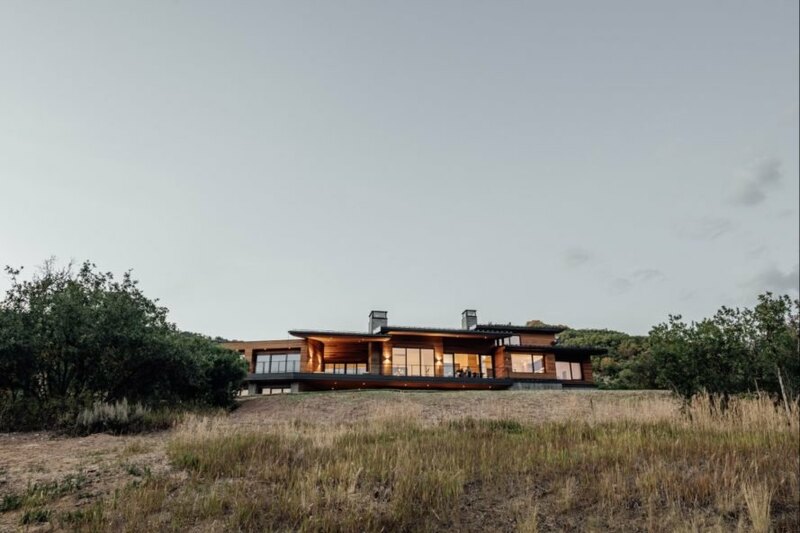 The home's low lying, horizontal volume blends it into the landscape.